You’ll find Switched on Bikes down at Wellington’s Shed One. Located in this hub for local tourism – kayak hires, helicopter tours and ferry rides are among the haunts. 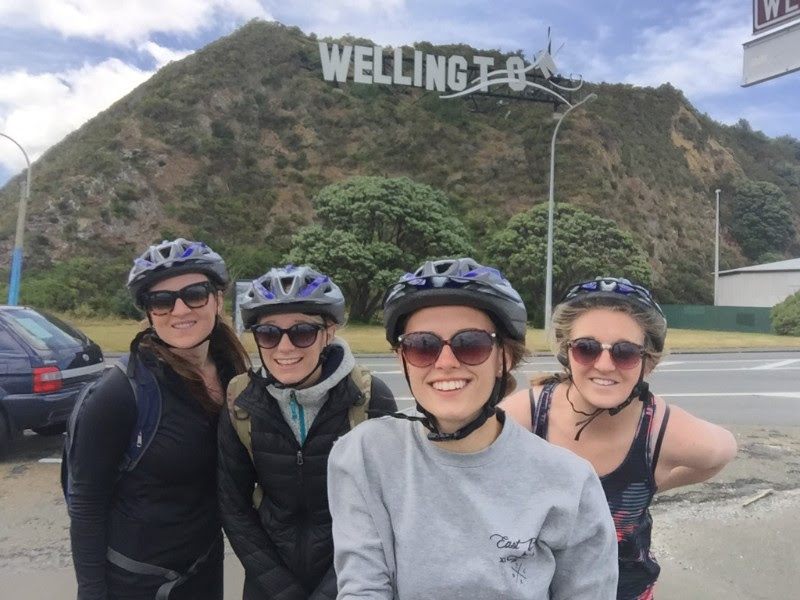 What began as an idea for motorcycle tours soon morphed into Wellington’s first electric bike hire company, and on the back of the Low Carbon Challenge the company quickly expanding into bike sales, eBike conversions and tour packages. This path wasn’t always clear. Co-owner Ryan O’Connell recalls the initial hurdles Switched on Bikes upon joining the Challenge. “Mentors came with lots of questions about whether eBikes were too early-phase and thus limited in their potential. They weren’t sure that people would see it as a viable transport option,” he remembers. But a dose of skepticism through validation was what the company needed, and Switched on Bikes refined its approach. “In some ways we took a gamble on this,” O’Connell says. We agree, and it seems the punters do too. Switched on Bikes recently celebrated its first birthday – a year which has seen growing awareness and success – and is fast exploring new avenues. The company now sells and converts eBikes, works with inbound tourism agencies, is developing corporate packages and has teamed up with Zealandia to offer sustainable transport to the popular nature park. Through matched funding, Switched on Bikes was able to expand its fleet, purchase a shared hireage space with the Sustainability Trust and eventually move into its current location on Queens Wharf. The company has big plans to help drive Wellington’s growth as a smarter transport city – one of three categories in this year’s Low Carbon Challenge. O’Connell sees “massive opportunities” in this field, and envisages a wider range of options becoming normalised in the way Wellingtonians’ live, move and grow. Dedicate yourself to make the most out of the Challenge, but be smart about your time management and aware that it may very well consume you! Recognize what the Challenge represents: an opportunity to learn and to grow your business. Be honest with yourself, adapt to feedback and don’t come into this with a finalized approach. Keep a list of all connection made – emails, numbers and referrals put your business on radars it wouldn’t have been on otherwise. You mightn’t need them now, but mentors, advisors and peers could prove valuable in a few months’ time. Wellington’s new promotional video features Australian comedian, Ash Williams riding one of our Moustache electric bikes (for a second or two) on the Wellington Waterfront. There’s a competition through this link to win a trip from Melbourne to Wellington! Switched on Bikes gave Radio New Zealand and Consumer NZ a few electric bikes to check out. This interview is a good intro to electric bikes- it explains them well and answers all of the questions people ask before riding one. This is a good one to share if you know people looking into getting an eBike and want it explained in a clear, concise way. Ride on! Progressive, green, brewing incredible coffee and less than a three-hour flight away . . . Yep, we’re talking about Wellington. The New Zealand capital is dubbed “Wellywood” (there’s even a sign) because of the film production businesses based there — including that of Wellington-native, director Peter Jackson. Fittingly, you could easily mistake Wellington for a movie set: there’s gorgeous sunshine, the harbour is impressively blue, the houses give off San Francisco vibes and people both trendy and friendly. This is one of the funnest ways to see New Zealand’s capital. Switched On Bikes offers guided tours or bike hire so can make your own adventure. Their shopfront is situated on Queens Wharf so it’s the perfect starting point for a cruise around the waterfront. You can use them like a normal push bike, or use the electric element to supplement your peddling, making it a little (or a lot) easier to get around. Electric bikes and how new technology makes them viable. In Europe, millions of people use bicycles instead of cars for everyday transport. But forget the old Raleigh 20, today’s cyclists are increasingly turning to e-bikes – bikes with electric motors that give them a helping leg – for their daily jaunts. New Zealand might be a way behind much of Europe in “everyday cycling”, but demand for e-bikes is taking off here too. We trialled one of the latest generation e-bikes, the French-designed Moustache Lundi 26. The Lundi 26 has an integrated drive system from Bosch. It’s a “pedelec”, which means the 250W motor assists only when you are pedalling. Despite the motor, the Lundi 26 is subject to the same road rules as a normal bike. It can be ridden by anyone, with no special licence or equipment needed other than a bicycle helmet. You select eco, tour, speed or turbo using a handlebar-mounted switch to choose how much assistance you get from the motor. The handlebars have a built-in display showing your speed, power setting, battery charge and estimated range. Moustache says you’ll get 50 to 120km per charge depending on terrain, wind, rider weight and power setting. On a ride in Wellington, with almost 100kg of rider and load, using its most powerful setting – turbo – and doing more than 350 metres of ascending, we got over 30km out of the battery. It takes three-and-a-half hours to fully charge from flat with a regular power point. Its integrated front and rear lights run off the battery and are controlled from the handlebars. It even has a USB port for charging your phone. The Lundi 26 is a comfortable, low-maintenance and easy-to-use city bike. It comes with a comfy seat; big-volume and puncture-resistant tyres; 10 gears; powerful and reliable disc brakes; a kickstand; rear rack; full mudguards and a chain guard. Consumer staff with cycling experience ranging from “ride every day” to “used to have a bike as a kid” spent two days riding it on Wellington’s streets, shared paths and cycleways. We tried all its power modes and also tackled the hillier suburbs. We think the bike is most at home in the city. The motor assist makes slowing down and speeding up around traffic and at junctions a breeze. Less-experienced riders felt more confident riding the Lundi 26 than an unpowered bike, due to the motor allowing riders to keep up with slower-moving city traffic. The bike is surprisingly quiet with the motor giving off an audible, but not obtrusive, whirring noise. We found it comforting to know it was helping our progress. On anything other than turbo setting, which gives more of a kick through the pedals, power assist is smoothly delivered. Full assistance is limited to 25km/h (due to EU regulations), so we found the sweet spot for cruising was just below that. With the motor turned off, or at speeds above 25km/h, the bike rides just like a normal bike. At 25kg, the Lundi 26 is 7 to 8kg heavier than an unpowered city-style bike. However, a “walk mode” adds a small amount of assistance to make pushing the bike easier. Riding uphill or into a famous Wellington northerly wind was a revelation. We could travel up steep streets at 20km/h or into a howling wind with little effort. It was almost embarrassing to cruise past unassisted cyclists like they were standing still. The Moustache Lundi 26 e-bike isn’t cheap at about $5000. But, even considering the cost of charging and if stored each winter and on rainy days, it would pay for itself in two years when compared to the cost of just petrol and parking fees for a daily 10km commute into Wellington. An e-bike like the Moustache makes cycling viable for many non-cyclists, nullifying the effects of wind and hills, and potentially making cycling safer and more enjoyable. We rented our Moustache Lundi 26 from Switched On Bikes in Wellington. Yesterday we went on a e-bike group ride, organised by Switched On Bikes. This is a company set up in 2015 by Ryan O’Connell, who is very keen to promote electric bikes as a great means of getting around Wellington. He has a fleet of e-bikes for hire, and also sells e-bikes, and he runs e-bike tours of Wellington. This ride was one of the free Wellington Region Summer Cycling Events. John had met Ryan before, but I hadn’t. When we got there, Ryan greeted us with “Hi, I’ve read your blog”. Yessss! Click here to read the whole article on Dizzy’s blog! Wellington, NZ – ZEALANDIA have teamed up with electric bike hire and tour start-up Switched on Bikes to offer a sustainable alternative for visitors and locals to get to Wellington’s most popular nature experience. To promote sustainable travel, Switched on Bikes customers that visit the iconic wildlife sanctuary can gain their ZEALANDIA day admission fee back when they return their eBike. “ZEALANDIA is up a steep hill above Wellington city so electric bikes make riding there easy – and it’s fun!” says Switched on Bikes founder Ryan O’Connell. Switched on Bikes is located in Shed One on the Wellington Waterfront. Bookings can be made at www.switchedonbikes.co.nz or by calling 0800 386 877. Customers will need to present ZEALANDIA receipt to be eligible for refund. Two Wellington companies are putting pedal to the metal to offer hotel guests an opportunity to tour the city on electric bikes. CQ Hotels in Wellington is working in with Wellington cycle hire start-up Switched on Bikes to offer Kiwis and tourists the chance to see the capital on an electric bike. CQ Hotels Wellington general manager Olivier Lacoua said they were on a mission to persuade Kiwis and tourists to see the capital “with electrifying speed”, and had bought two Smart motion electrical bikes to kick start their new venture. “E-bikes are so much fun to ride because they make the difficult bits easy and so riders can just concentrate on where they want to go and what they want to see,” he said. “And to top it off they have an electric boost which helps cyclists power up Wellington’s hills. © 2019 Switched On Bikes All Rights Reserved.